Here at Yee’s Hung-Ga Kung Fu Midtown, within a friendly safe environment, students learn an authentic Shaolin Kung Fu Martial Arts System. This martial art has been passed down to us by our Grandmaster 10th Dan, Frank Yee (Yee Chi Wai) and is now passed on at many branches throughout the United States, Europe and China. Hung-Ga — a Southern Shaolin style of kung fu martial arts originating in the 1800s by the great Hung Hei Guen and made famous by the Chinese folk hero Wong Fei Hung — is a martial art which references and infuses the Five Animal characteristics of the Tiger(fierceness), Crane(balance), Leopard(strength), Snake(speed) and Dragon(spirit) with the Five Element strengths of Water(flowing), Metal(splitting), Wood(squeezing), Fire(rapid and rising) and Earth(solid). 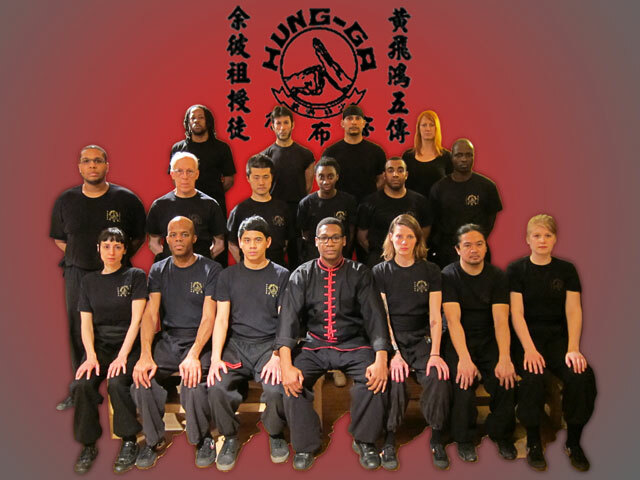 A balanced and complete martial art, the Yee’s Hung-Ga Kung Fu-Midtown branch curriculum addresses the development and maintenance of health, well-being, self-defense skills and many other interest a person may have. Yee's Hung-Ga kung fu is a martial arts system which all people can benefit from. Sifu Lloyd D. Wright, 4th Dan is certified by the Yee’s Hung Ga International Kung Fu Association.